Are you thinking of booking a flat in Pailan? No wonder, a good idea indeed, because Pailan is one of the fastest developing areas in Kolkata. The easy connectivity helps in connecting all the neighbouring areas of the city, thereby, making the place all the more popular. Today, Pailan is not just known for the famous educational institute – IIM, but for the theme based township project as well. So, if you are planning to book your flat in a theme-based housing in Pailan, then book it right now before it gets late. Living in a theme- based housing in Pailan is a boon and a blessing as well. The presence of a variety of architectural signatures increases the standard of living. Who does not want to experience an International City Life? Everyone does so do you. Theme homes carry an unusual personality, influencing our lifestyle. Here below are a few points that highlight the reason behind opting for themed-homes. A theme based township carries a different style and taste of living. No wonder, living in such a home will certainly make your experience special and unique. These kind of houses carry the tones of a particular culture, thereby, illustrating that in the architectural designs. Needless to say, that a theme based house brings a distinctive artistic touch. 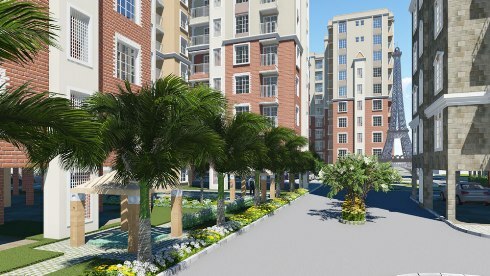 Living in a township built across 20 acres of land with 5,000 residential apartments is certainly a big thing. Be it 1, 2 or 3bhk flats, each of them is elegantly designed to maintain the ideal status symbol. 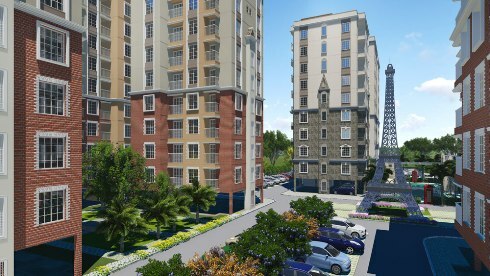 Though each of these apartments comes with a drawing room, dining hall, balcony and kitchen, still it is quite different from the other regular designs and architecture. No wonder, theme houses take you to a completely different world with distinctive patterns on ceilings, walls and doors. You must be agreeing with the fact that living in a home with different architecture brings a different impact unlike the other apartments. True, living in such a house creates a distinct status overall among friends, relatives and colleagues. Are you thinking of a second home? It is not at all a bad idea if you are really hunting for a place where you can spend a memorable holiday. If you have, a flat in a theme-based housing, then nothing else will be needed to escape your stress. For a perfect respite and relaxation from all your worries, come and live in such a beautiful premise or your second home. The aesthetic features, ornate ceilings, geometric patterns and artistic sculptures of the theme-based houses say it all. For example, if you find a township apartment with architectural signatures and designs, your living becomes even more exciting. Not just, it takes you away from the mundane world, but also makes your living extraordinary. As townships are not located amidst the city, there lies the advantage and so you can stay away from the hassles and chaos of the city life.